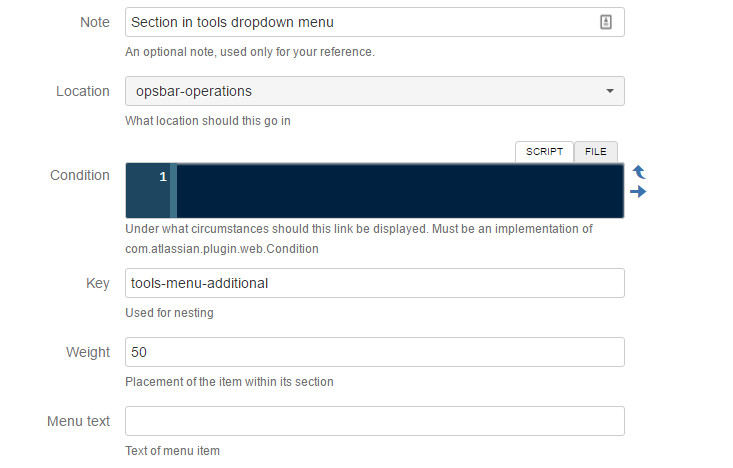 This will create a new web section in the More Actions menu on the View Issue page. 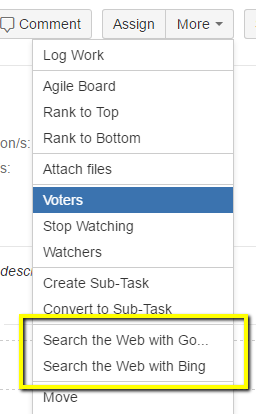 Modify the Web Items simple link example to change the section to the one created above. The section name should just be the key of the web section we created, so in this case it should be tools-menu-additional.